One of the notable flashlight brands on the market is Maglite. This is a brand from USA and is known for its quality flashlights. The Maglite xl50 LED flashlight is an excellent flashlight for people who want an everyday carry light. It is stylish and compact in design. The flashlight is easy to use with its tail cap switch. 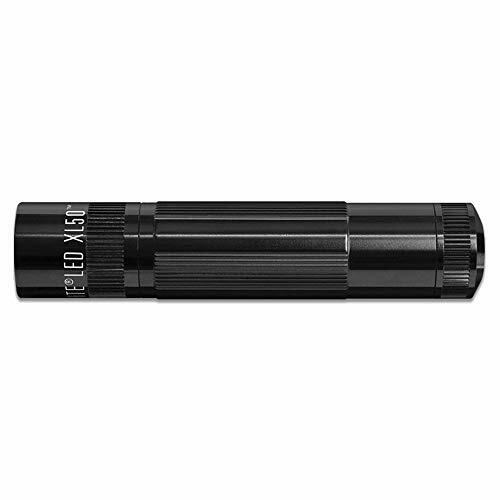 The XL50 flashlight is durably made from precision machined high strength aluminum alloy. In addition, it has 3 selectable modes and can resist tough conditions like scratch, corrosion and water. Read this Maglite XL50 review to know more about this flashlight quality. A flashlight is an essential tool that every avid outdoors person should have. It can be used to offer light as you camp or even during hunting. But not every flashlight can deliver the results that you need. Some perform well while others just don’t deliver. When choosing a flashlight, you should consider the features that you want in it and it should fit your budget, too. Not every flashlight that poses as top quality will last long. Look for quality flashlights from reliable brands. The maglite xl50 AAA flashlight is durably made from precision machined high strength aluminum alloy with a weather-resistant seal. Also, it has an anodized finish that prevents it from corroding. The tactile knurl design makes handling it to be easy as it functions as a grip. Furthermore, the flashlight has a pushbutton tail cap switch that is well made and reliable. These features make it to be reliable for use in tough conditions without worrying so much. Maglite xl50 LED flashlight uses LED bulb. The LED is able to produce a maximum of 200 lumens which is extremely bright. The flashlight has an adjustable spot to flood beam. This is a great feature as it can allow the user adjust from normal to very bright light. LED bulbs are durable and very reliable. They provide very bright light. The white light produced by the LED covers up to 224 meters and has a beam intensity of 12533cd. 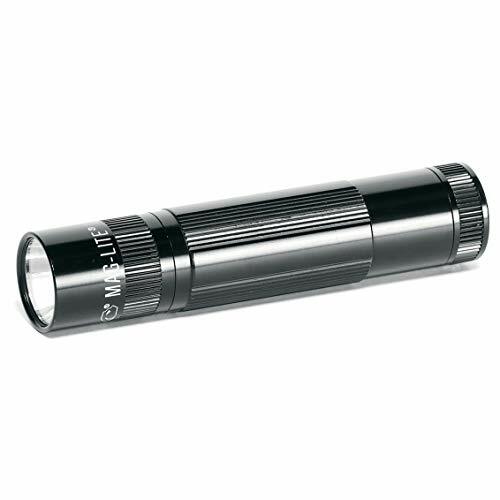 If you need more powerful light then Maglite ML300L flashlight good for you. On top of the bright light that this flashlight produces, it offers the user with 3 different lighting modes. These include high power mode, 25% power, and emergency safety strobe. These modes can be used in different situations or for different uses. The strobe mode can be used to disorient an assailant if attacked or to blind an enemy so that you can get away. The high power mode runs for 6 hours and 45 minutes while the low mode runs for 33 hours. Simply click or turn on the tail cap to cycle through the light mode that you want. The high power mode shouldn’t be used for long as it is bound to deplete the battery quickly. Stylish is what most people look for. No one wants to walk around with an ugly torch. The Maglite xl50 flashlight is a beautiful flashlight that will interest its user to carry it around. Not only does this flashlight weigh less and is compact in design, but it is also sleek. The tactical design means that it can survive in different environments without any issue. It can also fit in tight areas. Using this flashlight is very easy and straightforward. The Maglite xl50 AAA flashlight is powered by three AAA batteries which are included on purchase. Unlike other flashlights, this one has a cluster of three batteries placed side-by-side in a wide diameter barrel. Alkaline batteries are the best to use. In order to switch on high power mode, you need to turn on the flashlight and click quick to turn it on and then off with a single click. Then, turn on with two quick clicks for 25% power mode and one single click to turn off. Finally, turn on with three quick clicks to turn on emergency strobe and a single click to turn it off. It is as simple as that. A flashlight is a tool that is used mostly outdoor when walking a dog, hunting, jogging in the evening, hiking, fishing, and to perform many other outdoor tasks. This flashlight is weather resistant as it is IPX4 water rating. This implies that it can last for some time underwater. Also, the durable construction makes it to be resistant to corrosion and scratch. Hence, you can use it when it’s raining outside or in tough conditions. For flashlight lovers looking for a small and reliable flashlight, the Maglite xl50 LED light is the best choice. This flashlight is sleek in design and compact. This makes it easy for storing when not in use. The pocket size LED flashlight can be handled with much ease due to its size and it can as well be kept easily in the pocket or packback. Also, it has balanced optics and power management for maximum performance. Using this flashlight is extremely convenient. It is small in size, very powerful and can be lit by just one pushbutton switch in the tail cap. This makes it to be very easy and quick to handle. When not in use, put it on your pocket or purse and get it out when you get in a dark room or area. 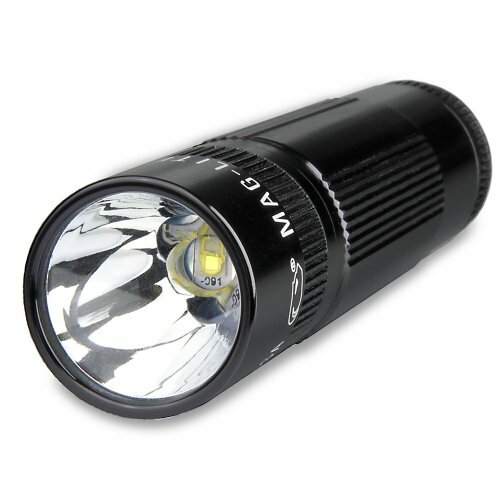 Maglite is a reliable brand with various flashlights. The brand offers limited lifetime warranty to its buyers. Also, the brand is famous for its quality products and one can fully rely on them. The lifetime limited warranty is offered to buyers in the Western Hemisphere; while the 10 year warranty is provided to individuals from the other parts of the world. Maglite xl50 is an excellent edc flashlight. The superior quality craftsmanship can survive tough conditions as it is built from hard anodized aluminum alloy and weather resistant seal. It has an easy to use tail cap switch and a tactile knurl design for easy handling. It is NATO certified and can be used for various outdoor tasks such as walking the dog in the evening, fishing, camping, hunting, car repair, and hiking. Also, it is offered at a great price and it is not a problem to store when not in use. I have explained everything in this Maglite XL50 review article that you should know before buying.